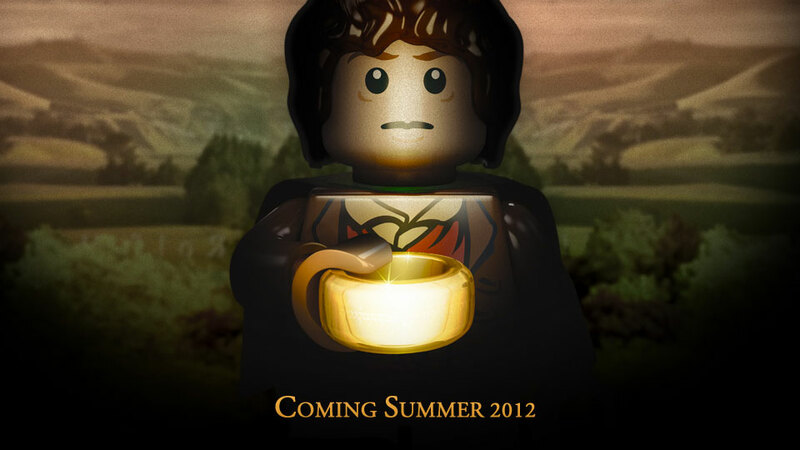 I know this announcement is strictly for the toys that will be available in the summer of 2012, but I’m still doing a happy dance about the prospect of a LEGO Lord of the Rings video game. I don’t read a lot of fantasy novels, but I have read The Hobbit...for a creative writing class…in high school…so I am sure that qualifies me as a super fan. Plus I’ve totally seen all of the movies (the extended films) and played the Risk version once…at a friend’s house…where I moved a ring around a map? I am obviously an expert. Tee hee! Tiny LEGO Legolas! Priceless. 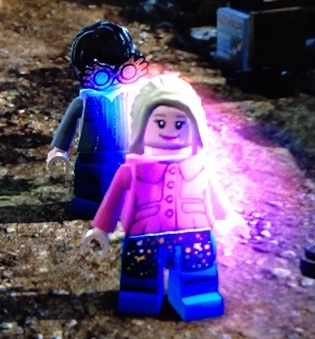 I am currently halfway through LEGO Harry Potter Years 5-7 and, as anticipated, I am enjoying it immensely. Exploring Hogwarts feels a bit less lighthearted this time around, understandably, considering the source material, but moving through the stud-filled storyline managed to almost completely erase all of the downtrodden feelings I had about the series after trudging through the final licensed title. It’s sort of amazing how TT Games has managed to tell the story in LEGO form in a far more satisfying way, using mini cut scenes with a combination of tense emotion (well, as emotional as a LEGOs can get) to keep the weighted tone of the story while still saying, ‘Hey, it’s LEGOs. Don’t be too sad.’ with cheek pinching adorableness. I am having a great time. The team has learned several new spells, tiny Luna Lovegood is oh, so pretty, and no one had to die in the final chapter, except the man himself. Voldemort’s disintegration = Freakiest LEGO scene EVER. Unlike Pirates of the Caribbean, I haven’t run into any bugs in Harry Potter, which is surprising. Normally the LEGO games lie in wait for you to step off the right platform and get stuck in some sort of digital quicksand, your only hope of salvation a total reboot (after mashing every button into oblivion, of course). To me, this says that either using the same environment as a previous game is a total win (Hogwarts and the surrounding areas are the exact same in both Years 1-4 and 5-7), or that TT is getting better at this whole LEGO video game endeavor. So, once again, although I know that no one has said anything about making a LLOTR video game at this point, I am still going to call it my Game of the Year for 2012...or let's say 2013, just to be safe. It’s obviously going to be amazing.